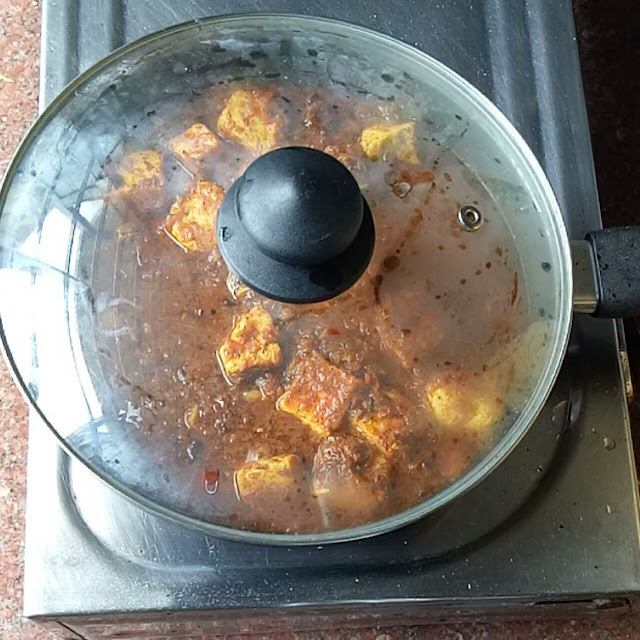 First have to marinate the Paner pieces with some salt, turmeric powder, red chili powder and Garam masala powder. Let it marinate for one hour . 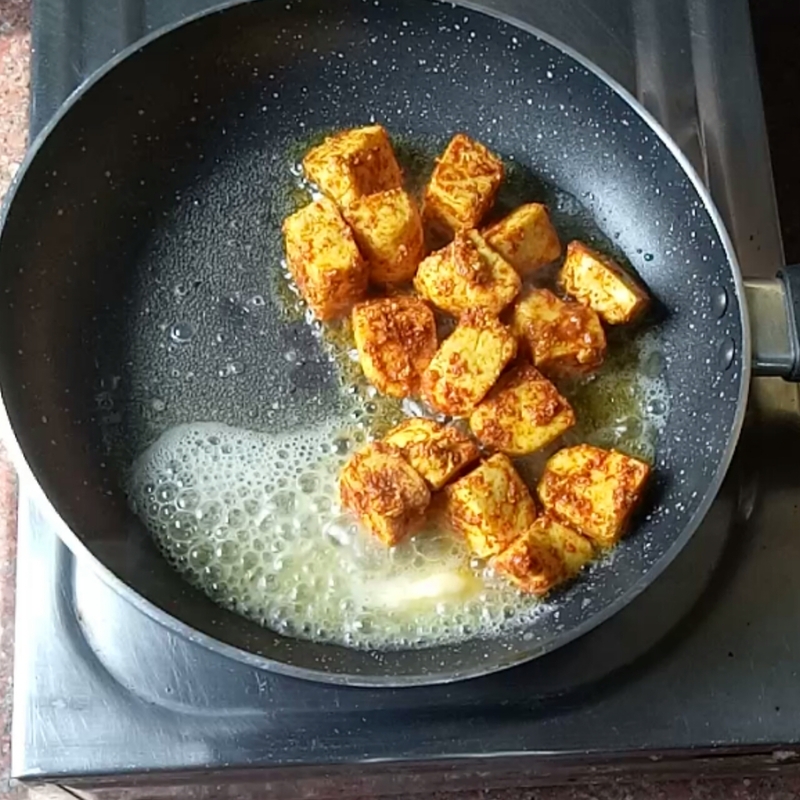 now lightly fry the Paneer. 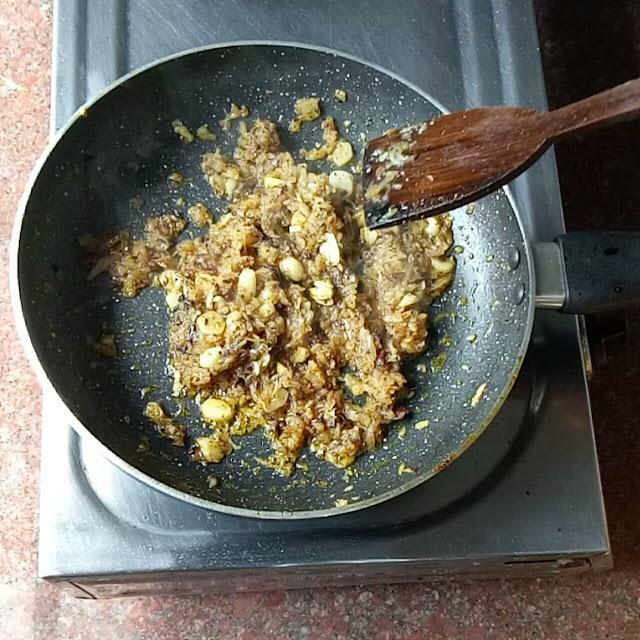 After that in this same pan add oil and let it hot, add cumin seeds and crushed Garam masala. Wait for 15 seconds, then add garlic after 30 seconds add onion and fry together until golden brown, after that add ginger slices. And Cooke for 2 minutes. 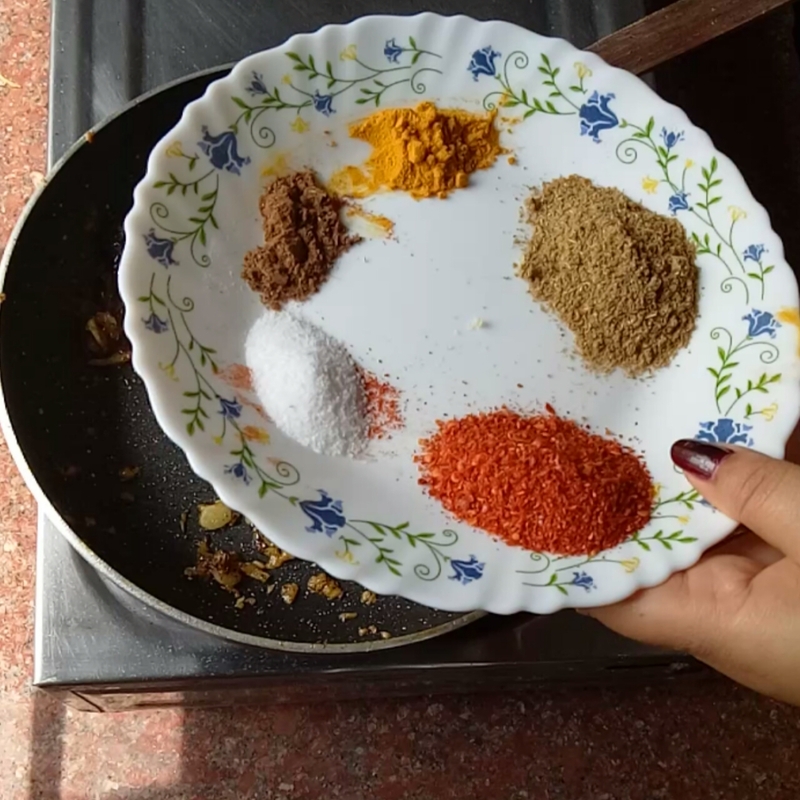 After that add 1 tablespoon mixed masala (cumin seed +coriander seed),1tablespoon garam masalah,1/2spoon turmeric powder, 1 tablespoon red chili powder and salt as you need. 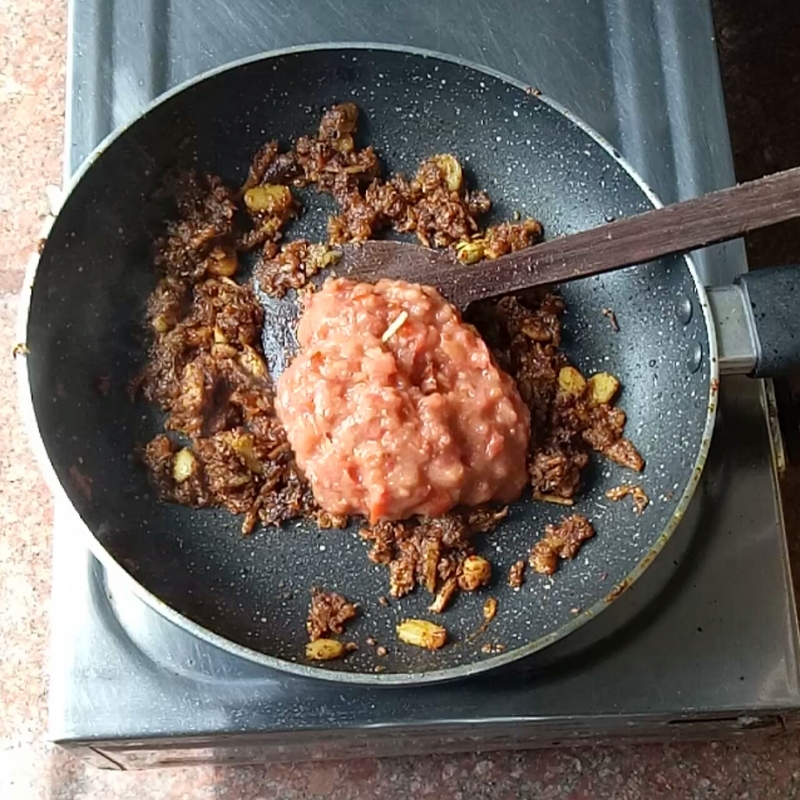 now add the tomato puree and fry all the ingredients for 5 minutes. next add kasturi methi and mix it well. Then add light fried Paner mix all together well add 1 Cup of water. .And cover it and let it prepare for 5 minutes. And finally surves into a plate. 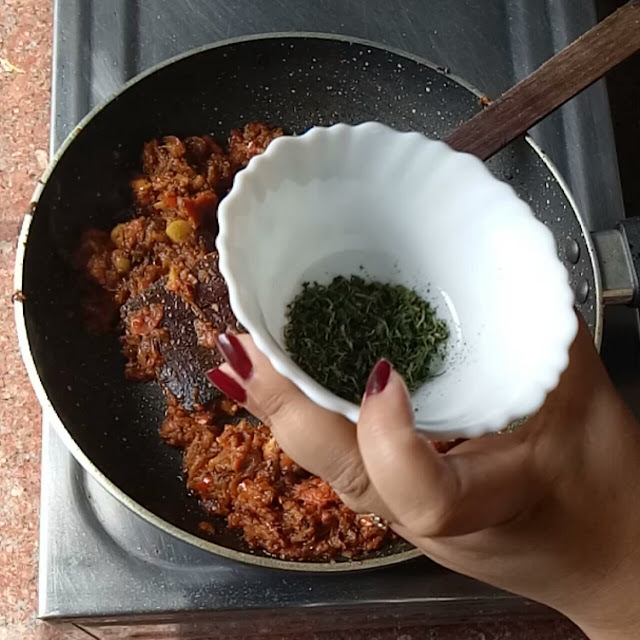 Garnish with coriander leaves and some butter.and your recipe is ready. 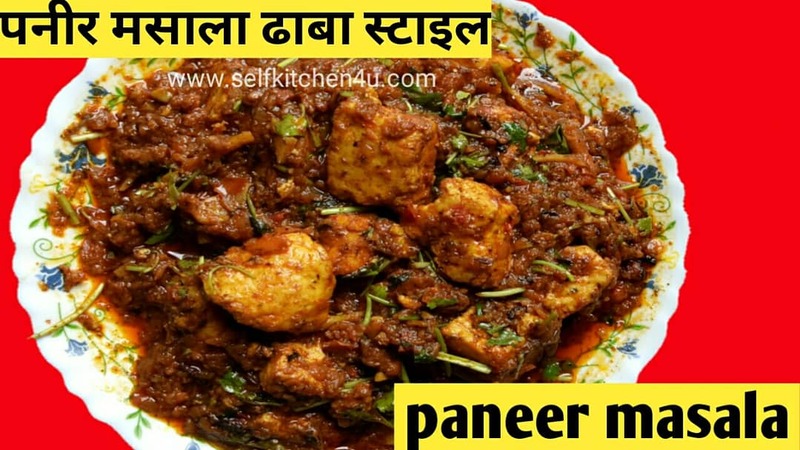 Now you can watch Paneer Masala Recipe | ढाबा स्टाइल पनीर मसाला paneer masala - Restaurant Style full recipe in bellow section. 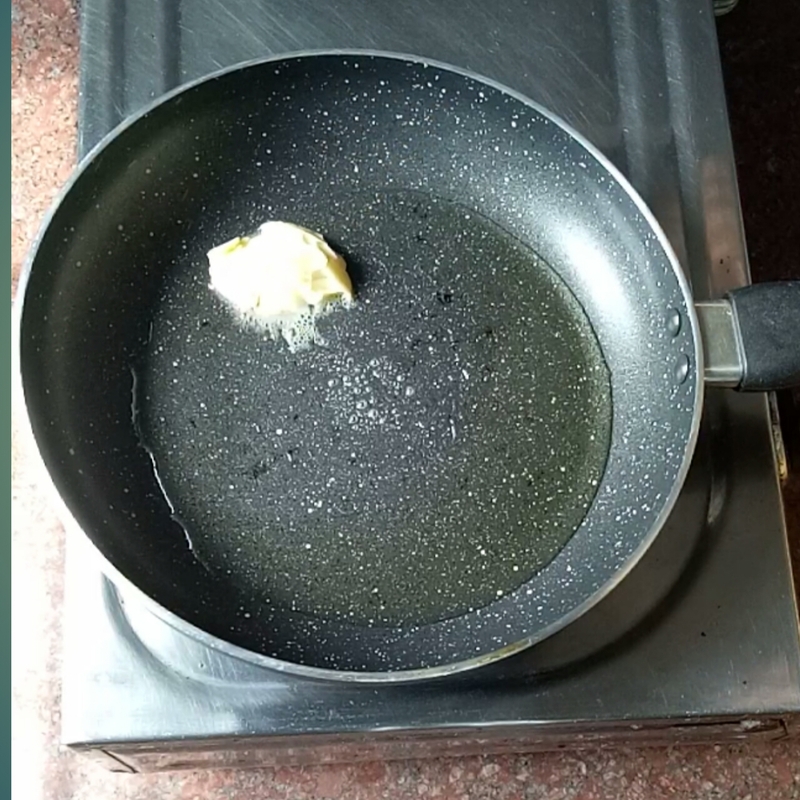 Hi friends, welcome to selfkitchen4u. This is my recipe channel. 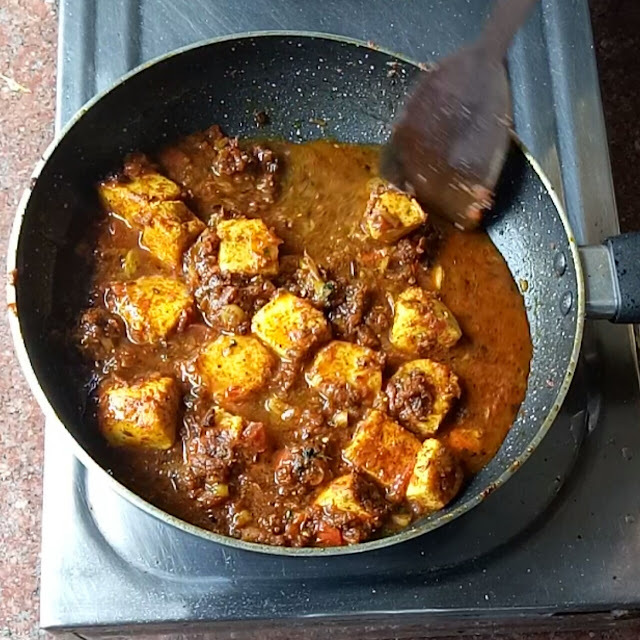 Here you can learn how to cook veg and non veg recipes.watching our recipe you can try it at home for your family members and share your opinion on the comments section. 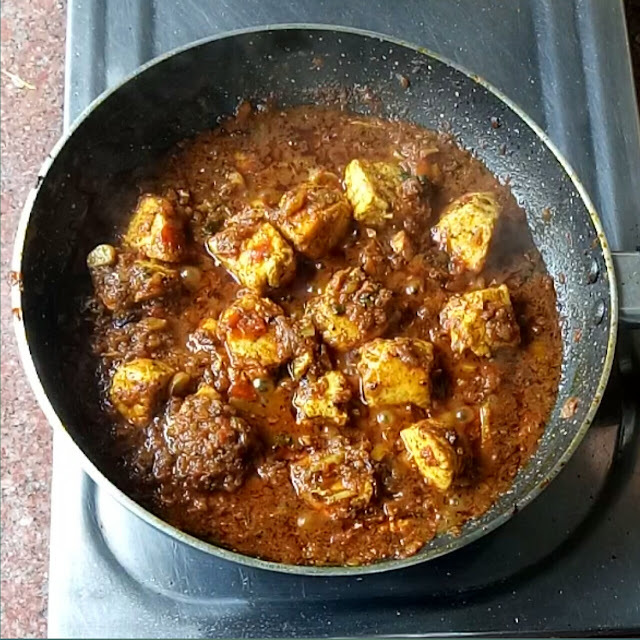 more information about recipe plz check out my blog....https://www.selfkitchen4u.com.